A few days ago, I came across this giraffe munching on leaves. This giraffe is a crazy animal. It’s nearly 20 feet tall. It weighs about 2,000 pounds. It needs 75 pounds of food every day. And every last bit of that food comes as these delicate little leaves from acacia trees. This giraffe was using her long tongue to grab these tiny leaves, sometimes reaching up high, sometimes standing back and reaching down lower. Her tongue flicks out, wraps around the dainty morsel, and slides it back in. The kids and I just marveled at her. She does this hour after hour after hour. How many small leaves does it take to make 75 pounds? 10,000? What would it take to lick 10,000 leaves off of a tree? Imagine trying to get all your calories by eating celery. The giraffe can teach us a lot. 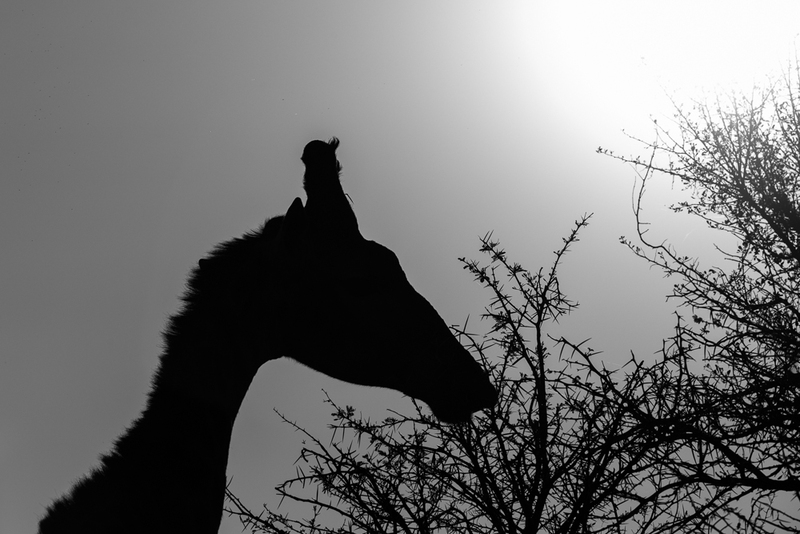 This giraffe walks over rocky terrain to find more trees and more little leaves. She navigates long, sharp, hard thorns to get to these tiny leaves. Her legs and tongue must be plated to protect against punctures. This giraffe spends all day doing what’s necessary. She surpasses obstacles. She doesn’t despair at the number of leaves she needs each day. She simply gets on with it and keeps at it. And I want to be, too. How do have you grown in persistence? In what areas of life do you need to persevere?